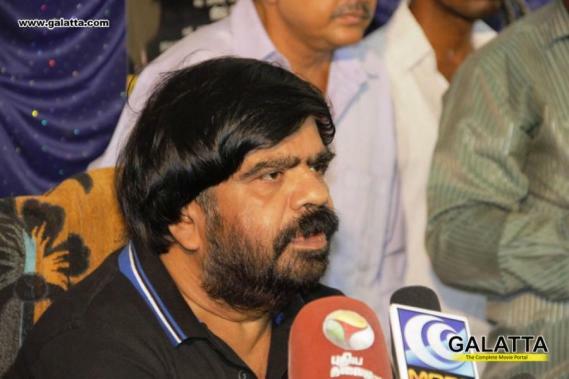 A couple of months back, we had reported that veteran filmmaker T. Rajendar was planning to direct and star in a film that would be on the lines of a satire. It was being stated that actress Namitha would be playing the female lead and this would now mark her first acting assignment post her marriage as she will be seen as a lady don in the film. Meanwhile, it has now been revealed that the project has been titled Indraiya Kaadhal Da and will most likely deal with modern day romance under the Simbu Cine Arts banner. It must be noted actor Simbu’s upcoming film’s title was revealed earlier today by director Venkat Prabhu to be Maanaadu and within an hour’s time T. Rajendar too followed it up with the announcement of his Indraiya Kaadhal Da. This is quite an unusual development with both father and son making their film announcements on the same day with STR’s film set to be a political venture while TR’s project will speak about the romance of the current generation. Indraiya Kaadhal Da will be made as a trilingual in Tamil, Telugu and Hindi and is to include Robo Shankar, VTV Ganesh, Jagan, Radha Ravi, Ilavarasan, V. R. Murthi, Pandu, Madan Bob, Cool Suresh, Kottachi, Thiyagu, among other prominent names for comedic relief. 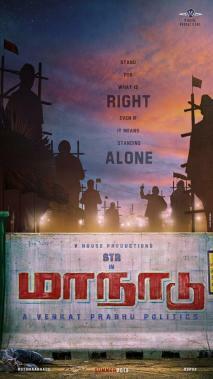 >>"Can't wait to bring Maanadu to life"
>>STR's Maanadu Dropped? - Official Statement! >>Important request from Simbu's producer! >>STR Veetu Kalyanam: Idhu Namma Aalu Man To Get Married! >>STR's VRV Day 1 Chennai City Box-Office Report! >>STR's Vandha Rajavadhan Varuven Run-time Revealed! >>STR's Pinjula Pinjula Video Song From Simba Is Here!